The snow is receding into our collective winter memories which means it time to register for our 1st Tour of 2019. 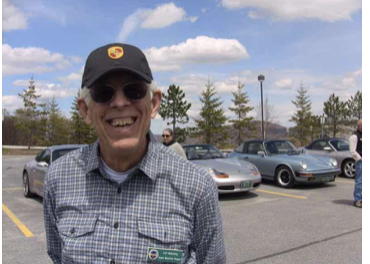 Join your Green Mountain friends for a drive to Bethel, Vermont on 4 May 2019. In an effort to attract more members we will kick-off the day with two tours, one from the south and one from the north, both drives will conclude at Tessie’s Tavern in Bethel, Vermont. PCA Treffen events are limited access events, which are placed at 4 and 5 Star hotels throughout the country. 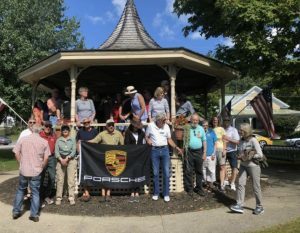 These events are placed in regions different from Porsche Parade, and alternated between east, west and center of the country. As many of you have learned already, the Woodstock Inn was selected as the site of the September 4-7 Treffen Vermont. It is anticipated that there will be 130 cars and perhaps 250 participants for this event. Treffen national selected the location and I have commitments from Zone 1 that Green Mountain Region will have support from neighboring regions. I expect that many volunteers will be needed from GMR. Registration Team (RT) : The RT will be responsible for assisting in the packing of the Treffen participants’ Goodie Bags on Tuesday (all day) and Wednesday morning and early afternoon. On Wednesday afternoon, the RT will assist the Treffen Registrar and PCA staff in registering the Treffen participants from 3 – 7 pm. Approximately four people are required for the RT. The RT will work with the Treffen Registrar to accomplish this task. Information Desk Staff (IDS ): The IDS will staff an information desk, usually located near the lobby of the host hotel from 12 noon – 7 pm on Wednesday and then from 7 am – 4 pm on Wednesday through Saturday. The information desk is staffed with two people at all times that it is open. The IDS will prepare a binder of material containing local information on nearby restaurants, car repair facilities, emergency services, etc. They will also maintain a listing of all participants’ names, Regions, tours scheduled, NDO activities, etc. (provided by the Treffen Registrar). The Treffen Chair will provide the Region with a list of materials that should be available at the information desk, but it is the responsibility of the host Region to collect and compile this locally-specific information. Tour Departure Assistants (TDAs) : TDAs will assist in directing arriving participants at the tour departure area to get in their correct lane for their scheduled tour. Approximately 5 – 8 TDAs may be required depending on the number of guided tours actually scheduled for Thursday and Friday. After the final tour for the day leaves, the TDAs will collect signage, cones and other items used at the site. Signage will be used for future Treffens. Tourmeister and Tour Drive Teams (TDTs) : The Treffen Tourmeister is a member of the local Region who has the overall responsibility for the development of all guided and self-guided tours. The TDT will consist of a lead car with driver and navigator, a mid car and a sweep car. The mids and sweeps need not have a navigator or second occupant. It is expected that there will be 6 tours which will be led on Thursday and repeated on Friday. There might also be a guided or self-guided tour with moderate off-road driving provided for participants who attend with their Cayenne or Macan vehicles. Car wash station : A car wash station should be identified at the host hotel and car wash supplies maintained by the host Region. I would hope that many Green Mountain members would agree to volunteer, so that we might share in providing a great event. 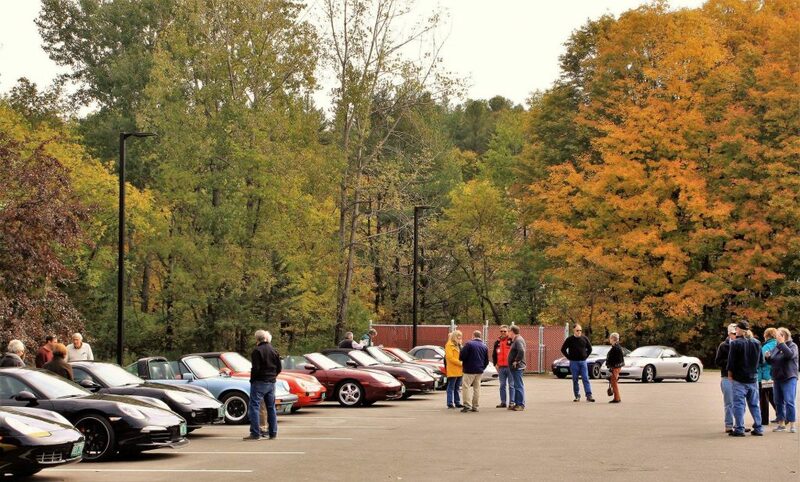 Also, Green Mountain members will be eligible to register for Treffen Vermont. Please inform me what positions that you can help with, and how many hours or days you would be available. Thank you all for volunteering to help with Treffen Vermont. Would you be interested in leading a tour next summer? Doing so is a great way to explore the by-ways of Vermont and have fun at the same time. A newbie? Not to worry, we have a several veterans who would be happy to offer tips or advice. If interested contact our Events Committee Chair, Duffy Miller, at pethmill@comcast.net. Need a Green Mountain Name Badge? If so, name tags can be ordered by emailing a request to our Treasurer, Christina McCaffrey at Christina.McCaffrey@uvmhealth.org. Be sure to spell your name(s) correctly! All members and spouses/significant others should have one to wear on tours and club events. If you have ideas and suggestions about possible road tours or would like to learn more about leading a tour drop an email to Duffy at pethmill@comcast.net. The Green Mountain Region membership is up to 170 and we extend a welcome to the following new members who have joined since our last update.